All of our writing is technically supposed to be in cursive, but I cheat wherever I can! ; ) Print is so much cuter anyways - don't you agree? Check out the lashes on that caterpillar! 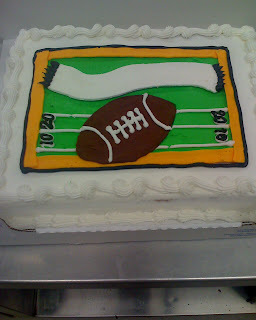 This is a football cake in preparation for the Super Bowl. I left the banner blank on purpose. The suggested "Kick-Off Time!" 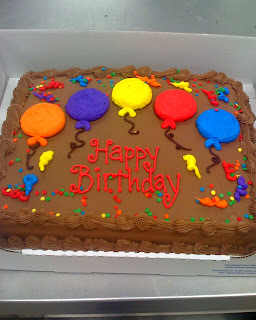 seemed a little corny, and I was sick of writing Happy Birthday on every cake. Wow! My girl has skills! Great job Jamer! Those are great! I love the printing too! Wow! Your roses ARE really good. And the printing is way cute. Why does everything have to be in cursive? Are the Great Rules of Costco Cake Decorating set in place by a 60-year old woman who likes to keep things like they were "back in the good ol' days"? So cool! I've always wanted to take a cake decorating class. I always look in the adult school ads, but they're always at a bad time for Georgie. Maybe someday! I like the print too! That is awesome! 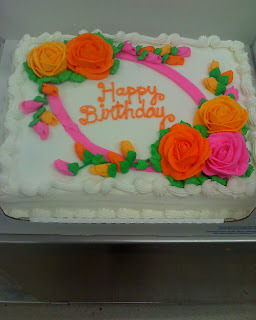 I've always wanted to learn how to decorate cakes like that! The roses are beautiful! 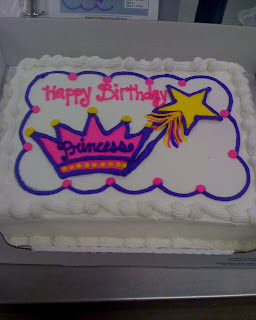 Wow Jami, will you make my birthday cake? That is so cool! .. LOVE them! you do an awesome job I am very impressed! cute cakes they are super fun, I do like the print :) great job! Your roses are amazing! I can't wait to learn to make them! 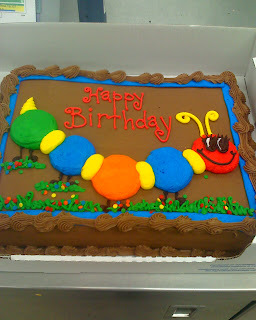 Your kids will LOVE their birthday cakes.